The three Smith faculty members chosen for this year’s Sherrerd Awards share what one nominator called a “contagious passion” for teaching and learning. The 2019 teaching prize recipients are Randi Garcia, assistant professor of psychology and statistical and data sciences; Judith Keyler-Mayer, senior lecturer in German studies; and Kiki Smith ’71, professor of theatre. The annual Kathleeen Compton Sherrerd ’54 and John F. Sherrerd Prizes for Distinguished Teaching were established in 2002 to recognize sustained and distinguished teaching by long-time faculty members, as well as encourage younger faculty members whose demonstrated enthusiasm and excellence influences students and colleagues. Nominations submitted by students, faculty and alumnae cited innovation, generosity and respect as among the exceptional qualities displayed by this year’s award winners. One students shared that she had shaped her course schedule around being able to take classes with Garcia. This year’s teaching prize winners will be formally recognized at a ceremony and reception on Tuesday, Oct. 29, that are open to the campus community. Here are brief biographies of the 2019 honorees. Randi Garcia has been teaching courses in statistical and data sciences and psychology at Smith since 2016. She is interested in how status and power within people’s daily interactions work to reproduce larger social inequalities. 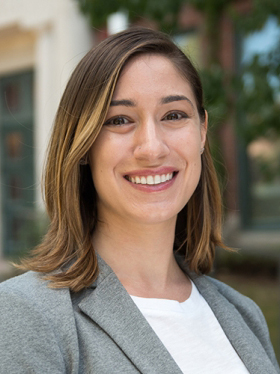 Using quantitative methods, Garcia’s research explores interpersonal interactions and relationships among people with different social group identities in contexts that include sexual objectification among the newly acquainted, racial bias in dyadic and group interactions, and inequality in household labor. An accredited professional statistician, Garcia holds an undergraduate degree in psychology and women’s studies from the University of California Los Angeles. She earned a master’s degree in statistics and a doctorate in social psychology from the University of Connecticut. 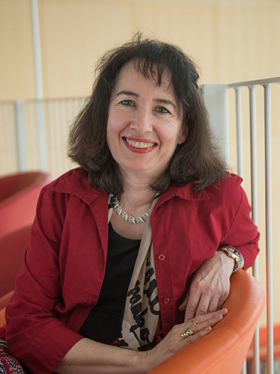 Judith Keyler-Mayer, a member of the Smith faculty since 2000, focuses her research on integrating practical experiments in STEM-related disciplines and creative art projects into her German language courses at all levels. She provides her students with contemporary linguistic models in German and helps them blend these using hands-on experience in a variety of subjects. Her primary scholarly fields are historic Germanic linguistics, the syntax of New High German and modern German, and foreign language acquisition. 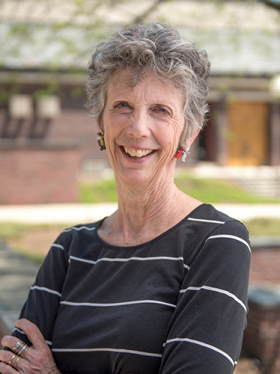 Keyler-Mayer has taught at several universities, including Ludwig-Maximilians-Universität of Munich, Tongji University in Shanghai, and the University of Connecticut. She earned a master’s degree from Ludwig-Maximilians-Universität Munich and a Ph.D. from the University of Massachusetts Amherst. Kiki Smith, who has been a member of Smith’s faculty since 1974, teaches two levels of costume design, supervises student designers, and oversees the Smith College Historic Clothing Collection. In addition to teaching, Smith is a professional costume and set designer for regional theaters and choreographers, including the Talking Band in New York and Shakespeare & Co. in Lenox, Mass., where she is a founding member. She won a Village Voice Obie award for her designs for the Talking Band's 2003 premiere of Ellen Maddow's A Painted Snake in a Painted Chair. Smith earned her undergraduate degree in theatre at Smith College, and holds a master of fine arts degree from the University of Virginia and a master of fine arts in theater design from the University of Texas. Assistant Professor of Engineering Kristen Dorsey is using the art of origami paper folding to advance the science of mechanical design. Smith sociology professor Nancy Whittier talks about her ongoing research on social movements and social change, sexual violence and sexuality—all issues that have defined her scholarly studies for more than 30 years. Each year in the United States, some 8,500 people receive undergraduate degrees in physics—but only about 2,000 of those degrees are awarded to women. Smith faculty, students and alumnae are working to change that.